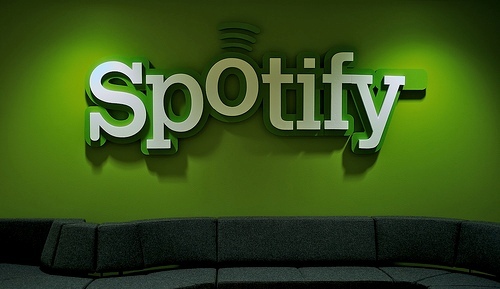 It’s been a busy year for Spotify, what with its US launch and tight Facebook integration. And now it has announced it’s integrating more tightly with the livingroom, as it has teamed up with Western Digital (WD) to bring the music-streaming service to the WD TV media player. In yet another incentive to sign-up to Premium, subscribers to the top tier Spotify service will be able to access over 15 million tracks on their home entertainment system through the new WD TV Live and WD TV Live Hub streaming media players. We reviewed the 1TB WD TV Live Hub earlier this year, and alongside WD TV Live, Spotify will be incorporating its standard features and functionality, such as creating, sharing and managing playlists and subscribing to other friends’ playlists on Spotify. So Spotify just got serious as a proper home entertainment service. Spotify is also giving away 5 WD TV Live Hub players with 5 Spotify Premium accounts, all you have to do is compile a playlist of your top 5 TV show themes and paste the URL into the comments section of today’s blog post announcement. This is a major deal for Western Digital, as it has beaten the likes of Apple and Google in terms of getting the popular music streaming service on a connected TV device. Though as we reported back in July, Spotify has penned a deal with Virgin Media in the UK, so that Spotify can be streamed to Virgin Media customers via the company’s new TiVO set-top box.